SonicSP wrote: I've speculated that it does but at the very least we've confirmed that its Gundam Frame has a Gundam like head. It has the blue sensor eyes, the chin and two side fins. Wait where did you see that? Can you link to it? Thanks. That sounds cool. A direct link to the image of the Gundam Frame from the main site. Someone I know from Suki pointed out that Gusion appeared to be smaller than the other Gundams based on its model kit size (for what it's worth, there might be inaccuracies and different scales and all that). That made me suspicious whether the picture of the Gundam frame from the site is applicable to all the Gundams. 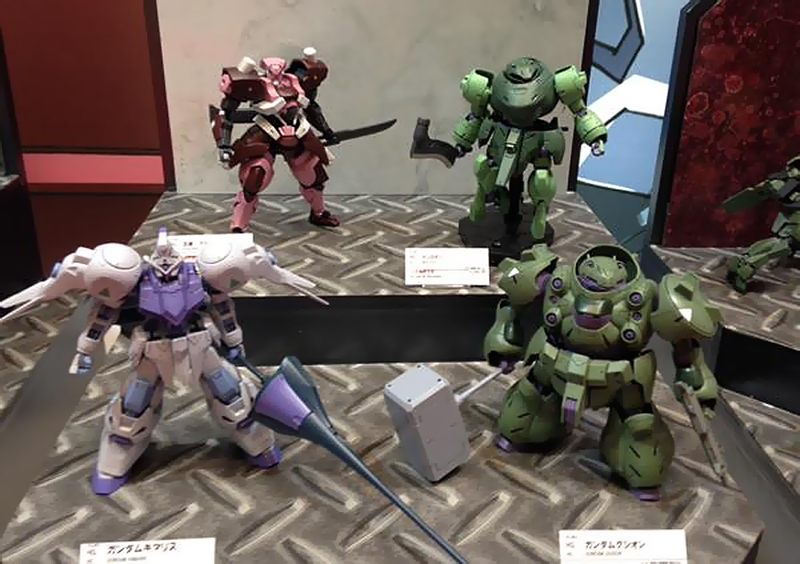 But there's also a magazine that shows that same Gundam Frame being placed beside the Gusion, so right now In still kinda confused about what's what. The Gundam Frame we have right now is suspiciously close to Barbatos so I'm still not sure that it's confirmed that it's applied to all Gundams yet. Still curious on whether there's any info that confirms one or the other though. SonicSP wrote: Someone I know from Suki pointed out that Gusion appeared to be smaller than the other Gundams based on its model kit size (for what it's worth, there might be inaccuracies and different scales and all that). That made me suspicious whether the picture of the Gundam frame from the site is applicable to all the Gundams. The Barbatos was apparently made for agility (manoeuvrability? ), so its designers (in-universe) were probably thinking, "How can we put as little armour on the frame as possible and still ensure it won't be OHKO?" Many features of the same frame are visible on the Kimaris, even without looking at that leg armour-exposed lineart. The Gusion also has some of those features visible; look at the knees and elbows from the rear. The Gusion's frame has probably been modified though, to give it the width. The original frame's shoulders and hips simply aren't that wide. Also, we can infer that Gusion uses the same basic frame (perhaps with some tweaks as suggested above) because the profile for the frame says that 72 were created and Gusion's profile confirms it's one of the 72. Ergo, it must have a Gundam Frame beneath all that armor to be counted, even if the exact proportions aren't identical. Given the apparent difficulty of getting Ahab Reactors to run in parallel and the need to put the cockpit where it is, I doubt the original creators wanted to make too many changes to the frame once they got it working. Actually, looking at the 1/144th next to others, it looks like the legs aren't any further apart really than the Kimaris. -CGS Mobile Worker: overall height: 3.5m, dry weight: 2.2t. It was being used for combat duty in CGS. Apart from combat, it has been used too in routine moving and materials transport. -Schwalbe Graze Use Lance: anti-MS, anti-battleship specification armament with Nano Laminated Armor point penetration objective. -Barbatos Use Smooth-bore Gun: Large Caliber Rifle produced considering use mainly in zero gravity space, emphasis was placed on power rather than accuracy. It can be equipped to back folded up. -Graze Use Shield: heat-resisting specification shield that has been developed for the Graze's use. Nano Laminated Armor has been applied, extremely sturdy. -Graze Standard/Commander Type: Gjallahorn's current mainline MP MS deployed in the Earth Sphere and outer space. MS development's keystone, the Ahab Reactor production, has become a monopolized technology by Gjallahorn; the Graze which has been developed in recent years is also a state-of-the-art machine. Because of its general purpose nature the frame construction was precisely planned, by performing exchanges in armaments and armor it takes a structure that can adapt to various environments. In order to development to reach as far many same type trial machines were assembled. The Schwalbe Graze, which achieved higher output and mobility, is a same frame sister machine. From the Graze's versatility pursuit viewpoint even more improvements can be added, multifarious armament variation implementation. Improved stability, aiming to lower the operational cost. It's an easy to handle machine for pilots as well as mechanics, inside Gjallahorn many have voiced their praises for the machine's performance so a negative view on a next version mainline machine development has come up. -Soldiers of Gjallahorn: they lost because they didn't expect to face a MS in the CGS base attack since under the current Gjallahorn control it's rare for a pilot to have experience on anti-MS warfare, it was the 1st time Ein faced one. -Battle Axe: because MS are protected by Nano Laminated Armor direct blows are considered to be extremely effective regarding battle between MS. The Battle Axe is an equipment assuming MS battle. 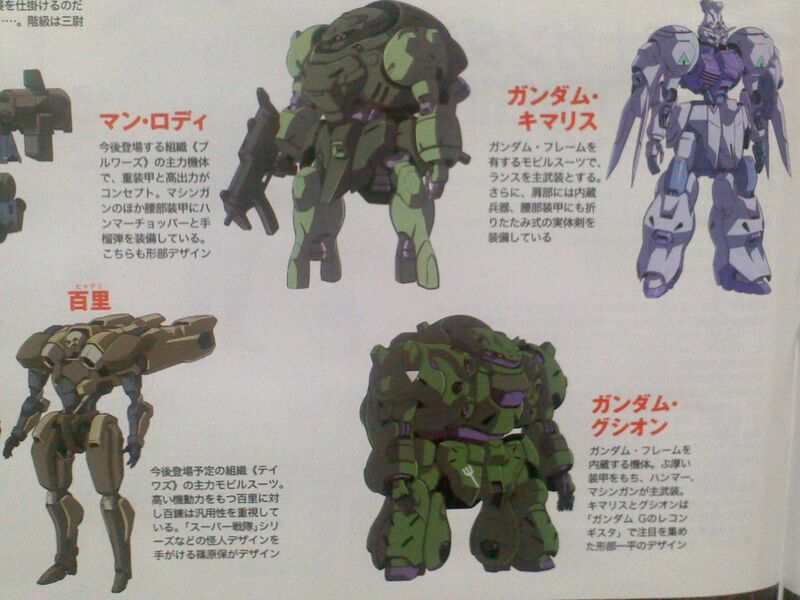 -Rifle: Graze's standard shooting armament. High accuracy, high utility value as the mainline weapon in the role of support armament. -Standard Machine/Commander Machine: 1 Commander Machine and 2 Standard Machines, 3 units total composition which is the smallest unit, Gjallahorn's Mobile Suit Corps. The Commander Machine can preserve the chain of command even under the influence of Ahab Waves since it has a communication range corresponding to twice the Standard machine. -Environmental activity: For the Graze, in order to cope with every kind of environment, many retrofit parts exist. To ensure mobility under gravity the armor equipment was made light weight. High movement speed in space because of Booster Unit implementation. All-purpose machine without regard to distance or support in relation to armament too. These IBO manuals are worded very weirdly but I think I got the meaning right. Last edited by balofo on Sat Oct 10, 2015 1:54 pm, edited 6 times in total. The thing that caught my eye was "Ahab Waves". I wonder if that means that Ahab Particles are able to act as both a particle and a wave like photons do? And I also like the idea that Nano Laminated Armor is the main reason why solid melee weapons seemed to be so widely used. That it's specifically meant to break other MS' armor sounds like a good idea. Last edited by balofo on Sat Oct 10, 2015 12:58 am, edited 1 time in total. I maybe wrong on this, but rather than the Seven Stars being a squad, it seems to refer to a group of family. The info did specifically point out McGillis' last name. E08 wrote: I maybe wrong on this, but rather than the Seven Stars being a squad, it seems to refer to a group of family. The info did specifically point out McGillis' last name. You're right, It reads: the Fareed familiy is one of the Seven Stars clans that run Gjallarhorn. Last edited by balofo on Sat Oct 10, 2015 12:31 am, edited 2 times in total. This is the main, mass-produced mobile suit presently deployed in both the Earth Sphere and outside the Earth Sphere by Gjallahorn. Currently, the construction of the Ahab Reactor required to power the machine is developed through technologies unique to Gjallahorn and is overall cutting-edge technology developed recently with the Graze. 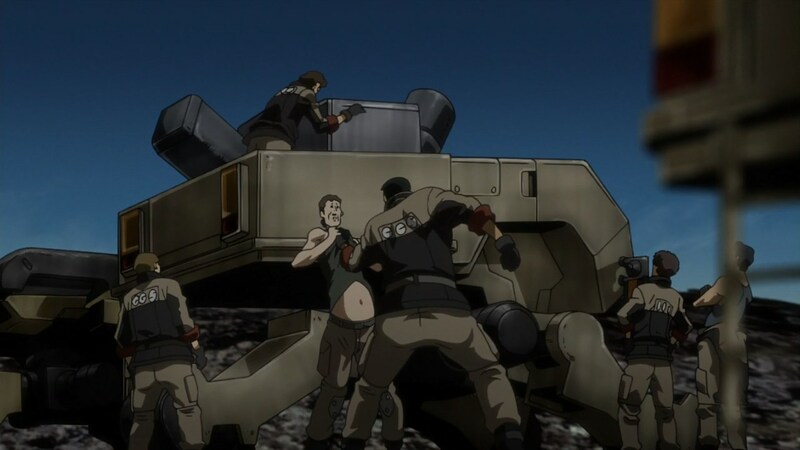 The machine has been carefully designed from the framework up for general purpose use and versatility, and can be equipped with weaponry to handle a variety of different environments. Many prototypes of the same model were built throughout the development process, and the Schwalbe Graze is the sister model to this machine utilizing the same frame, albeit with higher output and mobility. The Graze has continued to be improved upon as a model from the perspective of general purpose use, and a wide range of weaponized variations was developed in the process. They have improved overall stability and are striving to lower operational costs. This machine is renowned within the organization by both pilots and mechanics for its ease of use and maintenance, which has led to a negative opinion on the development of next-generation machines. 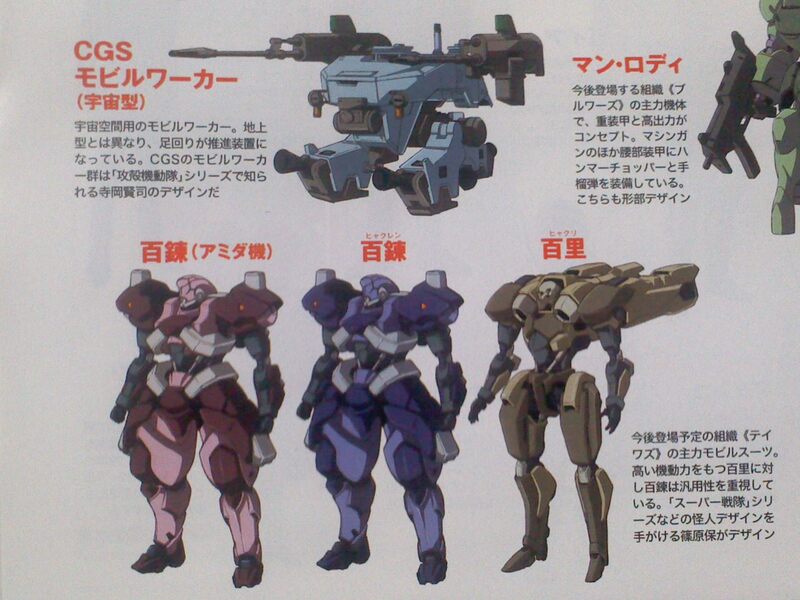 IMO the <グレイズ> は近年開発された最新鋭機でもある phrase just says the Graze has been developed in recent years and is also an state-of-the-art machine. Nothing to do with the Ahab Reactor previous sentence, after all the Ahab Reactor tech is very old but is now a Gjallahorn monopoly. I suppose this is where all those people start raving in Gjallahorn when they see that old Gundam massacring their Leo-I mean, Gm's-no, their "Glazes". They don't know the power of a balanced vision. Time to guess at the OS screen! So only Gjallahorn could build Ahab Reactors, or at least Ahab Reactor at a size compatible for MS? Does that mean MS of other factions won't use Ahab Reactors? Maybe Gjallahorn's two MS models are considered newer than those of Deiwas and Brewers due to this. Calubin_175 wrote: So only Gjallahorn could build Ahab Reactors, or at least Ahab Reactor at a size compatible for MS? The Teiwaz and Brewers MS obviously have Ahab Reactors, we only need to know if what they have is from the Calamity War or brand new. It was mentioned that 4 major powers share the governement, perhaps Teiwaz and Brewers are 2 of them. On which planet are the Brewers and Taiwaz from? Isn't Gjallahorn the primary military force of Earth? Wouldn't that make the previous two from Mars? Amion wrote: On which planet are the Brewers and Taiwaz from? Isn't Gjallahorn the primary military force of Earth? Wouldn't that make the previous two from Mars? Unknown, the plot synopsis mentioned that power on Earth was split among 4 groups after the Calamity War. If the new government already has an army in Gjallarhorn we can assume Teiwaz and Brewers are separatists/terrorists/secretly backed by a superpower/pirates/etc. I thought Gjallahorn is a force drawn from all four of the Earth Power-Blocs and is therefore similar to say the Earth Forces (OMNI Enforcer) of the Earth Alliance in Gundam SEED. Deathzealot wrote: I thought Gjallahorn is a force drawn from all four of the Earth Power-Blocs and is therefore similar to say the Earth Forces (OMNI Enforcer) of the Earth Alliance in Gundam SEED. 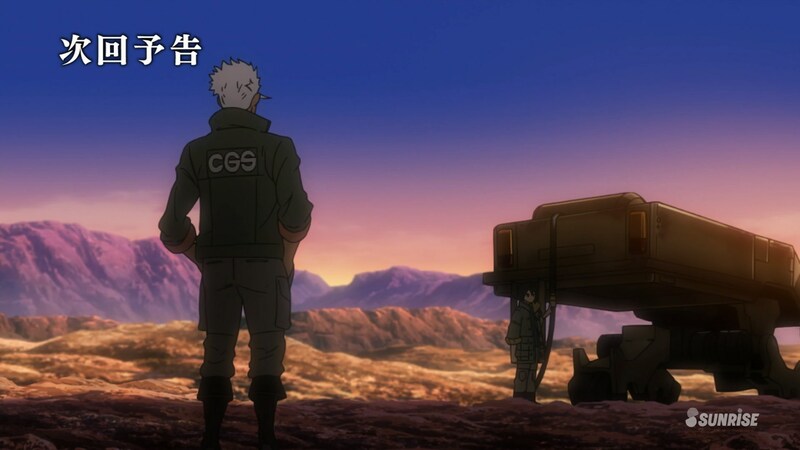 IBO PV wrote: Gjallarhorn: A military organisation formed by Earth's national blocs. An instrument of violence that maintains peace through force, it possesses many mobile suits. For me, the "multinational force" element is reminiscent of OMNI Enforcer, with the aristocratic aesthetic and "has the shiniest toys" element coming from the UESA Specials. Again, these are familiar elements to long-time Gundam fans, but being combined and revisited in new and interesting ways - I like it. "Trust me, I know what I'm doing." - Sledge Hammer. A Wind Raging Through, a Destiny sidestory.